The idea of calling your mom and dad and letting them know that you’re in jail and you need to be bailed out is based on such a common occurrence that there have actually been songs written about it. College kids sometimes get a little bit out of hand. In some cases, getting out of hand means getting arrested. If your child called you from jail and told you that they’re in jail and they need you to bail them out, there are ways you can handle this, no matter where you’re located. Here’s an example of a common scenario that parents have to deal with. For the sake of example, the parent is in New Mexico and their child is attending college in Florida. They get a call from Florida letting them know that their child is now in jail for some minor offense, probably something having to do with a party. There are cases where, even though someone may have been arrested on a minor offense, a judge may actually require bail bond for that person to get out of jail. Fortunately, the bail bond companies are very keen to adopt technology that allows them to provide their services to a wider variety of clientele. To that end, many of them have websites set up where you can arrange for bail for somebody in a different jurisdiction than the one you live in. In most cases, you’ll have to download forms, fill them out and send them back to the bail bond company. The bail bondsman will likely accept payment over the Internet, so you don’t actually have to show up with cash in your hand to get the bond put up for your child’s bail. There may be some time involved in getting someone out of jail when they live in a jurisdiction far away from you. There may be quite a bit of calling back and forth from the jail where the person is being held. You’ll need their booking number, the charge they were arrested on and so forth, but the bail bondsman may be able to help gather this information for you, as well. Once you pay the bond, make it very clear to the person you bailed out that they absolutely have to make their court date. If they do not, they will have a warrant issued for their arrest and the indemnitor could be responsible to pay the face value of the bond. Tallahassee is a fairly quick release process once the bond is posted. The bond usually takes about 30-40 minutes to post and the defendant should be released in 2 to 4 hours. Make sure you have made pickup and\or travel arrangements for the defendant once they are released. Tallahassee jail does release 24 hours a day, all year long. 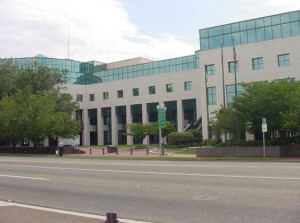 The courthouse is located at 301 S. Monroe Street in downtown Tallahassee. 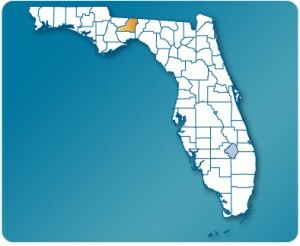 It is located within the 2nd circuit of the state of Florida. This is where the defendant will have to attend his/her court dates. It is best to give yourself plenty of time. Because the courthouse is downtown, parking can be a pain. You may be able to find some free parking, but most likely you have to pay a minimal fee. The easiest way we have found to enter is off of Calhoun Street. The courthouse has many floors. You will want to research what courtroom you are in before going. If you are unsure of which courtroom you are to go to, there will be assistance on the first floor. You can follow your case online via their website. For some reason, the clerk’s office only displays traffic and misdemeanor cases. For felony case, you still have to call the clerk office directly. Using the online system, you can find updated docket information and upcoming court dates. We always recommend to call the clerk’s office to confirm any court date. Clerical errors have been known to happen.